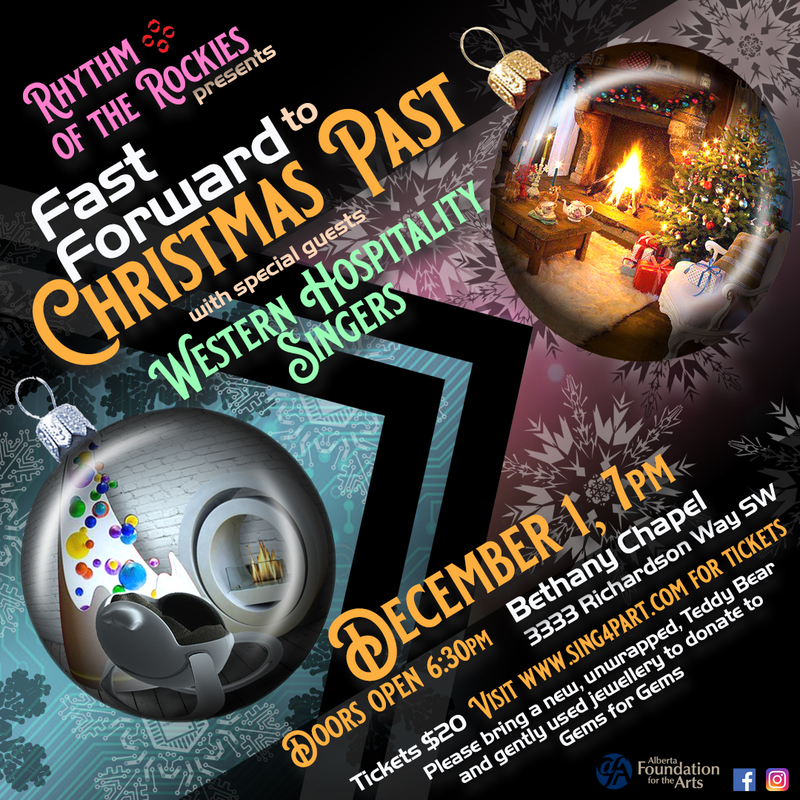 Join Rhythm of the Rockies and discover what it means to sing a cappella harmony, while making lifelong friendships and memories. If you have a competitive spirit, our chorus is the place to be! Read more about 2016 Division AA Champions! Come on down to the Lilac Festival! Join Rhythm of the Rockies at this popular Calgary event as it marks the start of summer in the city! This promenade event is open to everyone of all ages. We look forward to entertaining the masses, come rain, come shine! On Sunday, June 5th, we’d love to see you there! Rhythm wrapped up 2015 with an appearance on Global TV and Christmas performances around Calgary. It was an exciting year of growth, a sold out show, outstanding fundraising, travel to the Las Vegas stage and new experiences for all of us! We're looking forward to new adventures in 2016 including our upcoming retreat, Regional competition in Saskatoon and lots of time spent sharing our 4 part harmony in the community. After a restful Christmas break we're back on the risers on Tuesday, January 12 at 7:15. We have many new faces on the risers taking us into the coming year and we're always welcoming new voices. Check us out right here on our website or find us on Facebook, Instagram and Twitter. Rhythm's performance at the Spruce Meadows International Market on Nov 15 was filled with the spirit of the season. Following the busy moments warming up and taking to the stage, singing our Drummer Boy/ Peace on Earth medley became particularly poignant following Fridays events in Paris. As we celebrate the holiday season through song and in our hearts we'll continue to be grateful for the peace and freedom that we share.